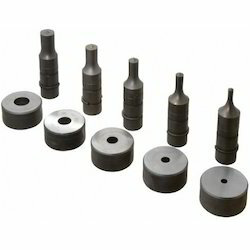 Prominent & Leading Manufacturer from Pune, we offer die and punches. We are engaged in the providing of superior quality Die and Punches to our revered clients. Taken from authentic sources, quality tested raw materials are being incorporated in the manufacturing of these dies and punches. Available in various dimensions and designs, offered dies are appreciated for the dimensional accuracy and nominal market prices.